Featuring artists Sebastian Alvarez, Srijon Chowdhury, Katy Cowan, Zoe Crosher, Lindsey French, Essi Kausalainen, Deanna Ledezma, Wilfredo Prieto, Steve Ruiz, John Steck Jr., Linda Tegg, and Andrew Yang; a night of performances by Katherine Behar and Joshua Kent (curated by Every house has a door); and The Lichen Museum, an Institution in Residence, by A. Laurie Palmer. An accompanying publication of the same name features writing by Giovanni Aloi, Kristina Chew, Every house has a door, Brooke Holmes, Karen Houle, Joela Jacobs, Ronald Johnson, Devin King, Eben Kirksey, Deanna Ledezma, Renan Laru-an, Michael Marder, Nathanaël, Chantal Neveu, Mark Payne, Caroline Picard, Catriona Sandilands, Steven Shaviro, Eleni Sikelianos, Monica Westin, & Leila Wilson. 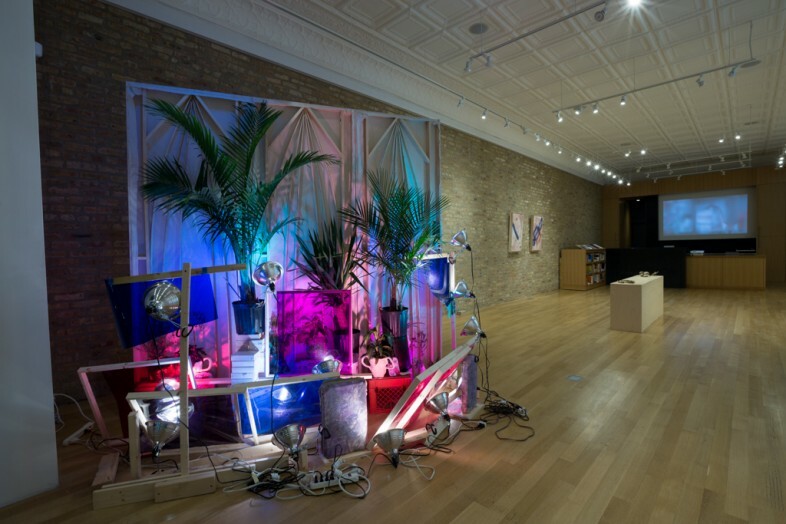 About the show: Responding to a new field of critical thought, Imperceptibly and Slowly Opening uses the group exhibition format to explore the strangeness of plants and algae, and how they trouble human structures. Vegetal life forms are banal in their ubiquity. Undeniably alive, yet silent, they creep upwards, their roots submerged and out of human sight. Like anarchists protesting order, weeds break through concrete. Plants challenge theoretical logic as well; they can be both one and many: Aspen trees growing on a hillside share a single root system. 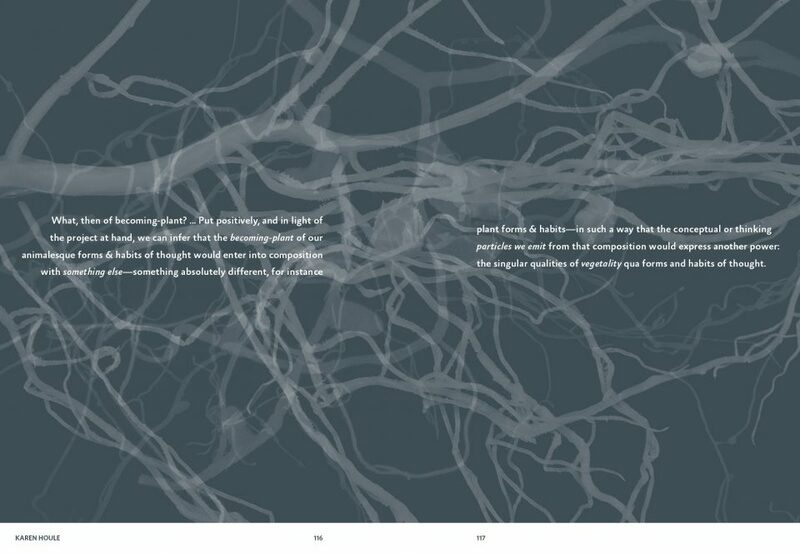 Plants have occupations and desires: engaged in constant growth, they spread out with a will to consume and occupy space. Studies confirm that plants communicate and activate built-in chemical defense mechanisms to ward off predators. Some even move visibly: Mimosa plants close in on themselves when touched by a human finger. This would suggest some kind of sentience, but what would the character of that sentience be? How do we quantify it? Imperceptibly and Slowly Opening highlights the inaccessible subjectivity that plants possess. 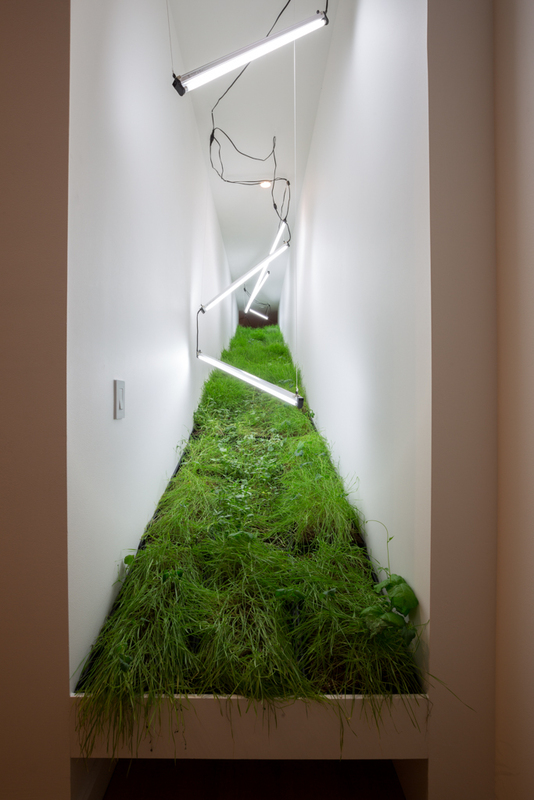 Proposed artists install multi-disciplinary artworks showing plant life as it troubles both physical and ideological human spaces. 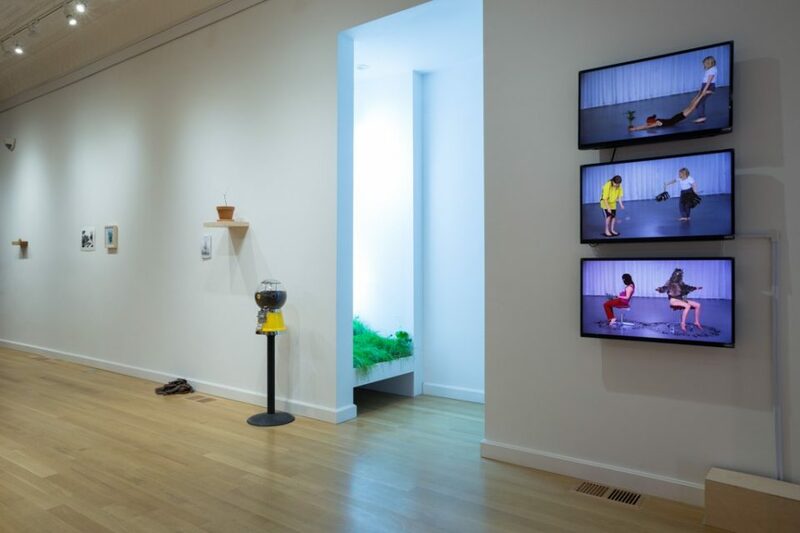 Capitalizing on the potential for multi-disciplinary programming, this exhibit includes Impatient Flowers — a performance series curated by Every house has a door, The Lichen Museum (Sector 2337’s first Institution-in-Residence), a three mile plant walk, and a series of talks. Its affiliated and forthcoming catalogue (The Green Lantern Press, 2016) contextualizes participating artists with auxiliary writing by Giovanni Aloi, Joela Jacobs, Renan Laru-an, Michael Marder, Catriona Sandilands, Steven Shaviro and others. Curated by Caroline Picard, this exhibition is part of an on-going investigation that began with Field Static (The Co-Prosperity Sphere, 2012), Ghost Nature(Gallery 400 / La Box ENSA, 2014), and congealed last fall in a group show about the material of the human body, The New [New] Corpse (Sector 2337, 2014). Following suite, Imperceptibly and Slowly Opening attempts to examine and celebrate the verdant strangers among us.